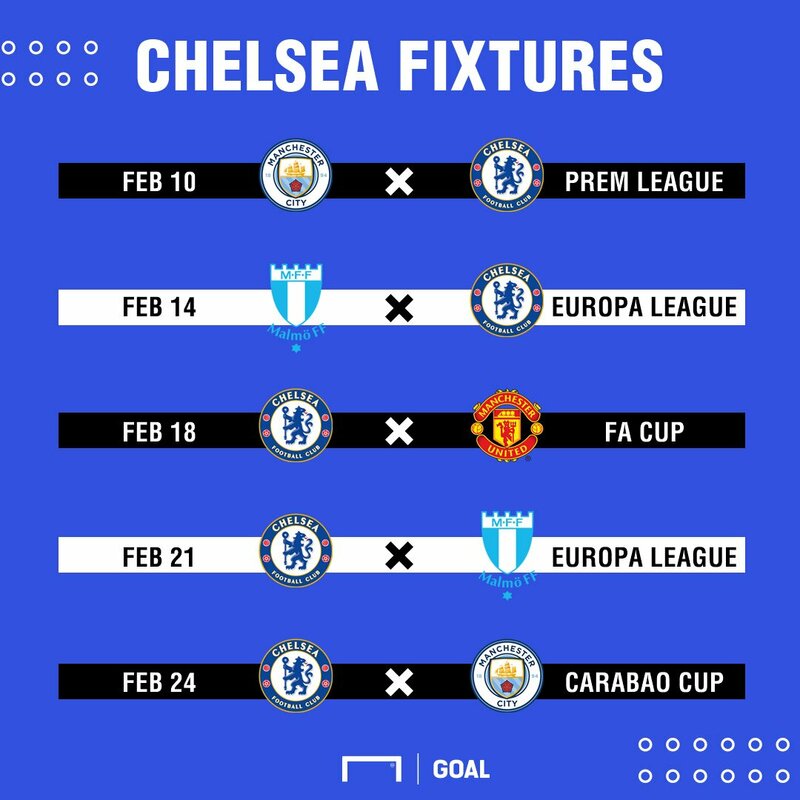 Manchester City vs Chelsea is a must-win for both. A loss for either presents severe consequences. The Premier League title race is getting more interesting by the day. But so is the fight for a top-four place. Champions League football has become for many clubs like a trophy in its own right. Just that it can’t be put in the trophy cabinet. Yet, it’s valuable nonetheless. As Ole Gunnar Solksjaer celebrates his Premier League Manager of the Month award for the month of January, he knows the job is only half done so far. Manchester United must qualify for the continent’s elite competition. His future at the Old Trafford dugout could depend on it. Maurizio Sarri’s Chelsea occupied fourth place on the table until United upstaged the north London side with a victory over drowning Fulham. That places a huge burden on Chelsea. Liverpool also returned to the top of the table after beating Bournemouth to establish a three-point gap over Manchester City. But Guardiola’s men have been let back into the title race through the back door in the first place. A victory over Chelsea will be one step closer to retaining the title they won in record-breaking fashion last term. Just one more loss by Liverpool could be enough for City. As for Chelsea, who handed the Sky Blues their first league defeat this campaign, another victory at the Etihad Stadium will take them a step closer to Champions League qualification. The stakes are that high for both sides in this Premier League duel. After winning two league titles in three years, Roman Abramovich is hungry for success again. But the Russian/Israeli billionaire also wants to enjoy good football at Stamford Bridge. That definitely played a big role in recruiting Maurizio Sarri. That, because given Sarri’s past history of never having won a single trophy in his managerial career, the main attraction was the brand of football he played elsewhere. Unfortunately, that’s still not enough in England, and especially for Abramovic’s Chelsea. So already out of the title race, the least the Italian manager can do is return the club to the Champions League. He knows it. That is why he has gone the extra mile to fix the goalscoring problem in the team by reuniting with his former striker at Napoli, Gonzalo Higuain. The Argentine has hit the ground running with two goals in his first three games for the side. He can only take it further from there. His goals will be instrumental to the team’s success from now until season’s end. Sure, losing the clash will not be catastrophic for either side. Mathematically it will not rule either's chance of finishing in the top four or winning the title as there is still ample opportunity to make up ground. Chelsea and Man City will still have 12 and 11 league games respectively left to play before the season winds up. Ideally, those are enough games for a lot to still happen, including the former even challenging for the title. After all, a 12-point gap is not impossible to bridge. However, the competition is just too brutal this time around. Jurgen Klopp’s men are in the form of their lives. The Reds are determined to dethrone City. The team has lost just once all season. That’s not a team that will let a 12-point advantage slip with 12 games to go. Even if they did, Guardiola’s men are waiting to step right in. that leaves the Blues with a realistic chance of only qualifying for the Champions League. But even that is looking very difficult through the league route as resurgent Man United is now in the mix. Unai Emery's Arsenal follows closely behind too. Fortunately for Sarri, the Europa League offers an alternative path to the destination. All he has to do is win the competition.